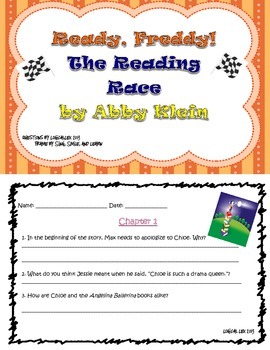 This is a 4 page comprehension packet for the chapter book Reddy Freddy: The Reading Race. Answers are included in case you haven't read the book, though some open-ended questions and opinion questions will vary. 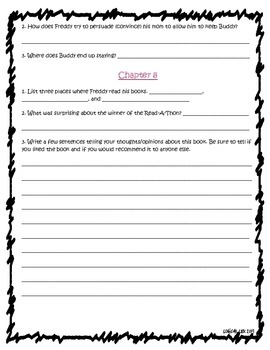 The questions were created to assess student understanding of the chapters. At the end of the book there is a section for students to write their opinion/review of the book and if they would recommend it to others. You could use this book in guided reading or have students work on it independently. 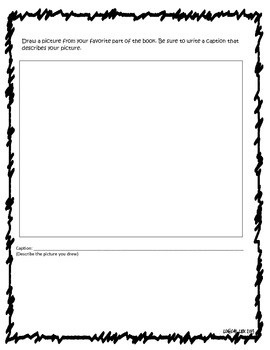 The text is appropriate for third graders and higher level 2nd graders.